AGBAJE! A TITANIC JOURNEY AGAINST SANWO-OLU’S PENTAGON ICEBERG? SHATTER OR BE SUNK! JIMI AGBAJE: AFONJA, THE SS TITANIC OR THE NS YAMAL? Henry Palmerston, Henry Palmerston, British Prime Minister’s message to the British Parliament in 1848. Saturday, March 9, is the clash of interests! JIMI AGBAJE! THE SS TITANIC OR THE NS YAMAL? Question 1: Is Jimi Agbaje the Titanic or is he the NS Yamal? Saturday, March 9, holds the answer! The Titanic was a British ship that struck an iceberg and sank! The Yamal is a Russian ship; an Ice breaker (or a ship designed to break ice) it rams into Icebergs and shatters them. Edward J. Smith was the distinguished captain of the ill-fated ship. Question 2: Will Agbaje shatter or be sunk? IGBOS: THE “SWING STATE” VOTE IN THE STATE. By a strange coincidence of voting numbers, just as the South West held the keys to victory as the hinge that decided which direction victory swung (a fact that worked for Jonathan in 2011, for Buhari in 2015 and 2019) the Igbo block vote is the “swing state” votes in the state, that are a source of concern to both Sanwo-Olu and Agbaje. (Rhetorical) Question 3: Has Jimi Agbaje put in place a formidable structure on which to ascend power? Agbaje’s plan against Tinubu’s hegemony seems to be: volume of dissident and disenchanted Yoruba voices + Igbo “swing state” votes= Alausa. The quest to deploy the vast numbers of game-changing Igbo votes by Agbaje has revived the Igbo/Yoruba political differences, that has the unfortunate incident at Okota as its ground zero, with the Igbo being viewed as territorial expansionist. PERCEPTION: AGBAJE AN “AFONJA”? TWO CONTRASTING POSITIONS FROM NAIRALAND’S DIALOGUE. “OYO is Just like Lagos Empire with political and economic influence across Southwest beyond. Lagos is like a bride that every region want an alliance with. Perception is a strategic weapon of tactical deployment, with grand Strategic consequences, in the political war of building and SUSTAINING a reputation in the mind of the electorate. In politics, Perception war is the conflict of reputation by two opposing camps in the political space; Hillary Clinton and Donald Trump made the point. MEDIA: THE VEHICLE OF PERCEPTION WAR. Firepower is defined as: “The destructive capacity of guns, missiles, or a military force (used with reference to the number and size of guns available)” https://en.oxforddictionaries.com/definition/firepower. Question 3: Who between Agbaje and Tinubu’s protege Sanwoolu is perceived as Afonja? 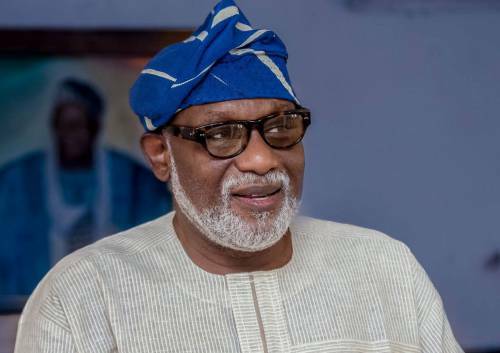 The political perception of Afonja is in the negative and the individual that carries that perception has a larger chance of losing the perception war and with that the election……the absolute czar of the press that Goebbels was is on Sanwo-olu’s side, this has tilted the perception war of the reputation of Afonja to Jimi Agbaje. Going by that, Agbaje’s chances of turning out to be the Titanic is stronger than his chances of showing up as the Yamal on Saturday, but there is a word called SURPRISE! 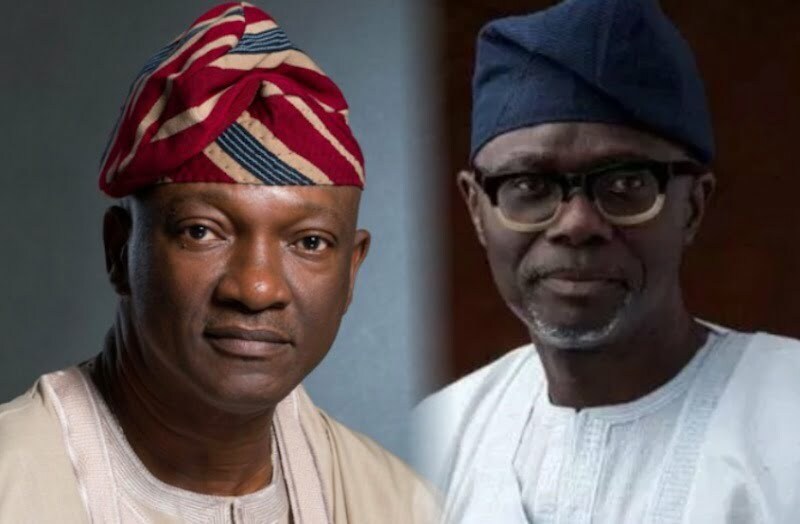 Sanwo-Olu’s camp has responded to Agbaje’s stronger appeal to the Igbo “swing vote” with Awolowo’s deployment of Monroe Doctrine to the effect that Agbaje is the PERCEIVED as “Afonja” of Lagos who has compromised the vital interest of the South West. Like it happened in 1951, when Awolowo evoked the Monroe Doctrine to induce a cross-carpeting from Azikiwe to Awolowo, sowing the seed of discord between both men, Jimi Agbaje’s perception as the Afonja is expected to be the catalyst that will trigger a mass South Western exodus to Sanwo-olu, resulting in Agbaje’s Titanic iceberg crash. By substituting, America with the South West, the point is clear. The concept of raison d’État, understood within the context of the South West, makes the meaning of vital interest clearer. Observation: self-interest, used to describe Awolowo, must not be misunderstood as personal interest that politicians of our day exhibit. For Awolowo, it was the vital and Strategic Interest of the South West, which he esteemed above his personal interest to the point of his personal liberty, on the contrary, many politicians of our day who claim “service to my people” (the most fraudulent political statement of fraud) hide behind the facade of those lying words to build FRAUDULENT FINANCIAL empires of political influence…. names like Saraki, James Ibori and even Sanwolu’s principal, Bola Ahmed Tinubu, are prominent. It will be recalled, that to protect the vital interest of the South West in 1951, by the South Westerners themselves (who know those interests better) there was a cross over from the NCNC to the AG, that shifted the majority from Azikiwe to Awolowo, the action must have had its roots in the Afonja affair that resulted in the Fulani numerical minority becoming the political majority and the Yoruba; the numerical majority, becoming the political minority in the traditional power play of Ilorin, where the Emir of Ilorin is Fulani. The Yoruba probably didn’t want that bit of ancient history repeated in the modern politics of the 50s…..the paradigm shift happened. “In 1951 the first celebrated cross carpeting episode occurred in Nigeria; which consequently robbed Dr Nnamdi Azikiwe the chance to lead the government’s business of Western Nigeria. The fears of an Azikiwe as premier of the West by the Westerners was simple. Question 4: If a conflict of interest arose, that pitched the VITAL INTEREST of Western Nigeria, against the VITAL INTEREST of Eastern Nigeria, with Azikiwe from the East, as Premier, WHAT was the guarantee that he would speak for the West against the East, even though Azikiwe, played a prominent role in the emergence of a Fulani, Alhaji Umaru Altine as the first mayor of Enugu in 1956? Question 5: Based on the evidence Zik’s influence in the emergence of Alhaji Umaru Altine a Fulani from Sokoto as the first Mayor of Enugu, were the fears valid? Question 6: Umaru Altine a Fulani was elected as Mayor, Zik was to be elected as Premier, the sphere of influence of the mayor was restricted to Enugu; one city. On the contrary, the sphere of political influence of the Premier, covered the entire region, under such circumstances, in the event of an East vs West clash of interest, where would Zik stand? There was a script called the Titanic and there will be a movie on Saturday, just as there was a man called Afonja and there is a word called perception. That was how David Walsh, captured the movie, the Titanic in his 25th February 1998 review of the film. Question 7: As “James Cameron’s Titanic (was) a massive global success”, will Jimi Agbaje’s attempt make him the NS Yamal; the ice breaker that will demystify and break the “iceberg political structure” of Bola Ahmed Tinubu? …….Not very likely, but there is a word called SURPRISE. There is a world of difference between a movie and reality. Question 8: Will Agbaje’s perception as the “Afonja” of Lagos become the Iceberg that will sink him in the political waters of Saturday, March 9 or will he overcome it as the NS Yamal, shattering Tinubu’s time tested formidable political empire? One thing is clear, on March 9, there will be collusion, a movie! The NS Yamal for others? Or even Afonja for others?